I think this is one of the questions we (and others in the industry) are continually asked, both by potential clients and by ourselves too! Trends and technology are constantly evolving, so we have to continually challenge ourselves to keep up while keeping true to our vision for what we do and the service we want provide to clients! Pippen setup and ready for guests! At first glance it seems like an easy question for us to answer, because after all Pippen is a photo booth inside a 1978 Serro Scotty vintage camper. But that is really where the distinction begins, not ends! The inside of the camper is as thoughtfully built as the outside. Our professional lighting adjusts to the outside light and gives one heck of a flattering glow. Our camera is top of the line, and our printer is one of only a few which prints photos in the highest-quality matte finish. But when you see us on Instagram or meet us in person you can probably tell that it’s our one-of-a-kind photo prop collection that really becomes unforgettable! Besides being housed in a vintage camper, this is another significant upgrade we had to make to set us apart from the standard photo booth. Our stick props are made of high-quality resin and metal, and we have options galore. Personal favorite is the moustache/monocle combo, paired with a pipe! We have a few Snapchat-style glasses with animal faces, antlers, vintage style picture frames, seasonal props, and our course our signs! I have been collecting our signs from here and there for as long as I can remember, and we are always adding to the collection. It’s so much fun to watch our photo booth guests peruse the collection until they find the perfect one for them and get so excited to jump in the booth! We also create custom props just for your special occasion! The best part is you get to keep them at the end of the event! Maybe it’s your wedding or party hashtag, or a quote that has special meaning, or an inside joke from the college days…whatever it is, just ask and we can make it! If you want a custom prop but are not sure what to do, simply tell us your story or idea and let us create something special which will become a keepsake after your event! 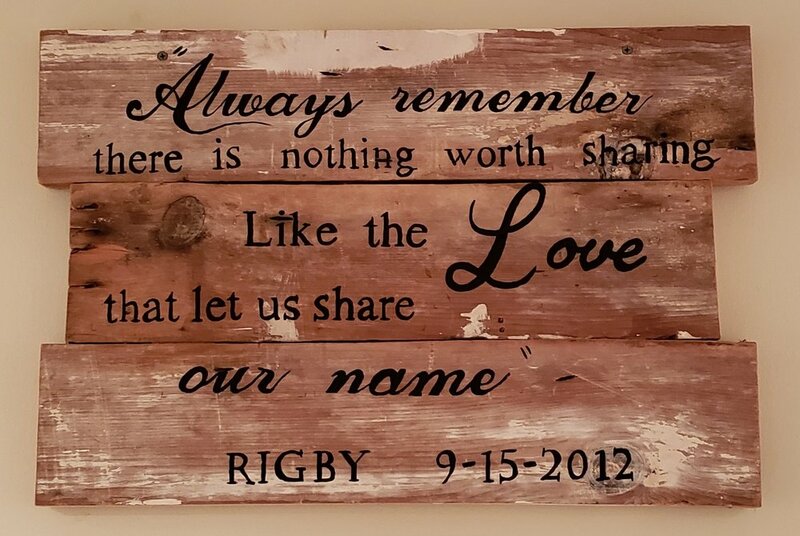 Here is a custom sign Jonathan created for me using wood from an old fence on our farm, with our wedding date and a quote from one of our favorite bands! A very special custom made wooden sign!